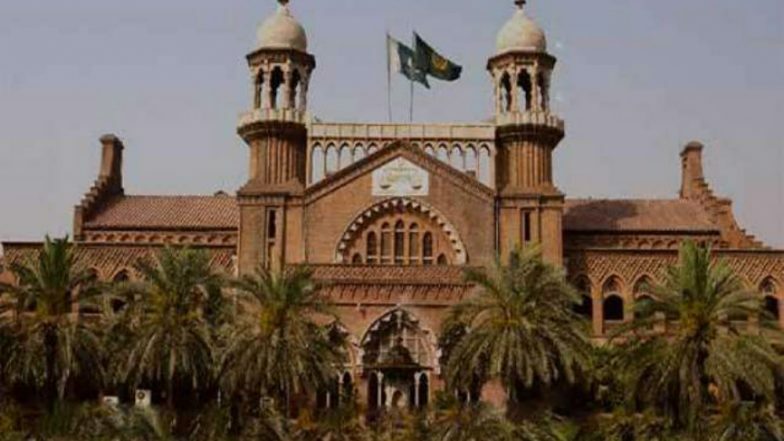 Islamabad, April 2: The Islamabad High Court on Tuesday formed a five-member commission to probe the alleged abduction, forced conversion and marriage of two teenage Hindu girls in Sindh province that led to massive protests by the minority community in the country. A high court bench led by Chief Justice of IHC Athar Minallah heard the petition filed by the two sisters -- Reena, Raveena -- and their alleged spouses, Safdar Ali and Barkat Ali, to seek protection, the Express Tribune reported. Pakistan: Islamabad HC Orders State to Take Over Custody of Two Hindu Sisters. In their plea, the girls claimed that they belong to a Hindu family of Ghotki, Sindh but converted willfully as they were impressed by Islamic teaching. The counsel for the girls' parents, however, asserted that the case pertained to forced conversion. Justice Minallah sought recommendations to resolve the matter. The matter requires transparent inquiry - it is the government's job to conduct probes not the judiciary's, he observed. The chief justice said the court had to ensure that there was no forced conversion. The bench formed a five-member commission to probe the matter. The commission includes Federal Minister for Human Rights Shireen Mazari, Mufti Taqi Usmani, Dr Mehdi, Advocate IA Rahman and chairperson of National Commission on the Status of Women Khawar Mumtaz. The federal government has been tasked to organise meeting of the commission. The incident came to light when a video surfaced online showing the teenagers' father and brother claiming the girls were abducted and forcefully converted. It was followed by another video snippet in which the two girls claimed that they had converted to Islam. The high court summoned reports sought by the premier and adjourned the hearing till April 11. The Hindu community in Pakistan has carried out massive demonstrations calling for strict action to be taken against those responsible for forced conversion and marriages of Hindu girls, while reminding Prime Minister Khan of his promises to the minorities of the country. External Affairs Minister Sushma Swaraj last month sought details from the Indian envoy in Pakistan into the alleged abduction of the two Hindu teenaged girls and their forcible conversion to Islam. Hindus form the biggest minority community in Pakistan.